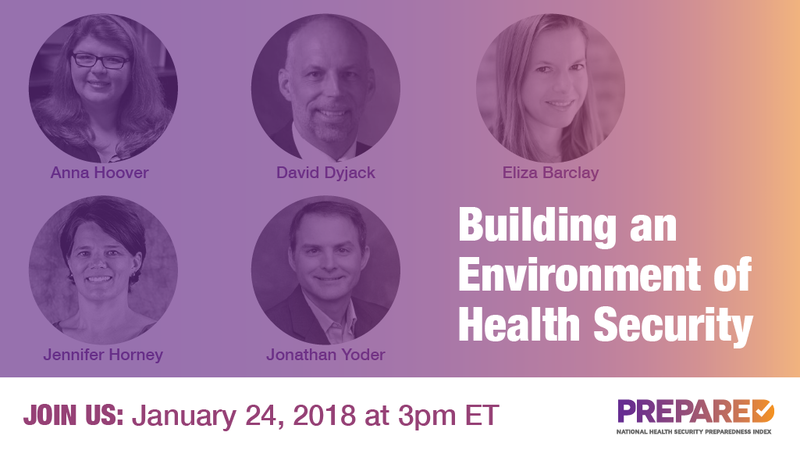 NEHA’s Executive Director, Dr. David Dyjack, will be a panelist on an upcoming webinar about how we can mitigate the impact of natural and man-made disasters on environmental health and health security. Join the webinar on Wednesday, January 24 from 3-4PM ET for an informative, and interactive discussion. Supported by the Robert Wood Johnson Foundation, the panelists will be talking with fellow experts from the environmental health and health security communities, along with leadership from the National Health Security Preparedness Index. The panelists and will discuss the state of U.S. environmental health protections, how every sector can contribute, current challenges, and what’s next for the field.